"The Middlesteins had me from its very first pages" - Jonathan Franzen Edie and Richard have been married for over thirty years, living in the Chicago suburbs. Everyone who knew them-even their own children Robin and Benny-agreed that Edie was a tough woman to love, but no one expected Richard to walk out on her, especially not in her condition. Edie is fifty-nine years old, she weighs 300 pounds, and her doctors have told her she'll die if she doesn't stop eating. As Richard is shut out by the family and seeks solace in the world of internet dating, Robin is dragged back from the city and forced to rebuild a relationship with her mother. Meanwhile Benny and his neurotic wife Rachelle try to take control of the situation. But have any of them stopped to think about whether Edie really wants to be saved? 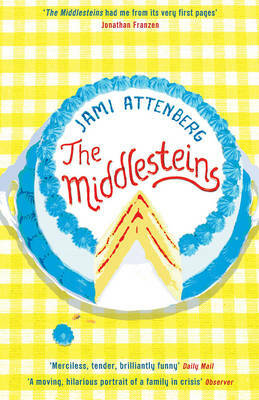 Written with sly humour, warmth and great insight, The Middlesteins is a novel about what it means to be part of a family. A not very much to it story about an American family all with various problems. Four of the inside covers had great reviews by various Amaerican magazines,famous people etc but I was very dissappionted.